If you want to splurge and treat yourself this holiday season, head over to Abaca Boutique Resort and Restaurant in Mactan, Cebu. It's an ultra posh destination perfect for those who want to get pampered. In their official website, they described "Abaca as the Philippines' newest and most exclusive boutique resort in Mactan Island. It's a tropical hideaway that offers the tranquility of very private deluxe suites set in a lush tropical beachfront retreat." The first time I went to Abaca, I was already intrigued with their secluded location. 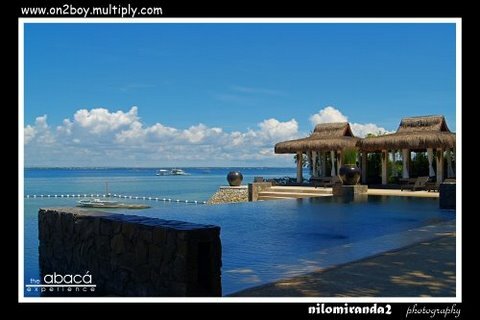 It's located in Punta Engano, Mactan way past Shangrila and Hilton Resorts. At that time, the boutique resort was not open yet and only the restaurant was available to the public. I wondered, "Why do we have to go so far in Mactan to eat in a restaurant?" I soon found out that there was no reason to ask that question. Upon arriving at Abaca, a big wooden gate greets you and a message outside states, "Honk before you enter." The guard opens the door, asks you if you have a reservation and leads you to the restaurant entrance. The ambiance is familiar. It reminded me of Shangrila's Cowrie Cove. At night, candles line up the pathway giving the place a soft glow. Once seated, the restaurant staff are very attentive and they immediately attend to your needs. In the menu, you'll notice a date on the page. Abaca's selection of dishes depends on the freshest catch of the day, so you'll definitely discover a different food experience each time you return. You may find some ingredients unique, and the staff will gladly explain to you what these are. One thing's for sure: Abaca Boutique Resort and Restaurant will never disappoint. 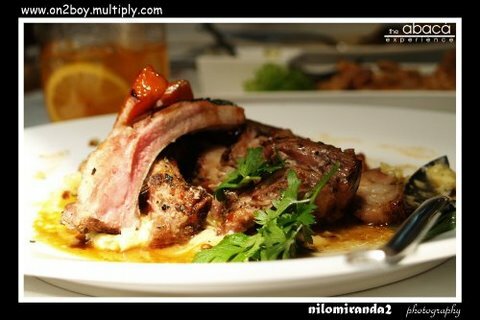 It provides one of the best gastronomic experiences here in Cebu. The restaurant may be found at one of the farthest points in Mactan, but a lot of people go there for the unique experience that it offers. Several news articles even say that there are people from Manila who fly in to Cebu just to dine in Abaca. Make sure you have a reservation before you go there, since the restaurant is almost always full. The experience does not come at a modest price. 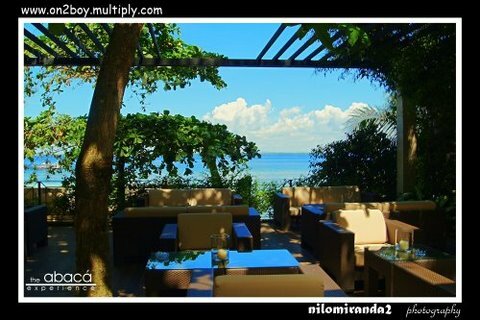 Prepare to shell out at least Php1000 per person to enjoy Abaca Resort and Restaurant's top picks. This holiday season, Abaca Boutique Resort and Restaurant offers special dinners for its guests. Strictly by reservation only. Click the links for their Christmas Eve dinner menu and New Year's Eve dinner menu. Can't get enough of Cebu's restaurants? Click on this guide to Cebu's best restaurants for more.